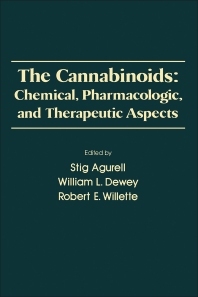 The Cannabinoids: Chemical, Pharmacologic, and Therapeutic Aspects provides a comprehensive discussion of the various aspects of cannabis and its constituents. The book is organized into six sections. Section I covers the clinical aspects of cannabis including the health aspects, impact on memory function, and the characteristics and treatment of marijuana abusers. Section II on chemical aspects includes studies on the chemistry and structure-activity relationships of cannabinoids; smoking characteristics of marijuana cigarettes; and developments in cannabinoid analyses of body fluids. Section III on metabolic and pharmacokinetic aspects includes studies on the metabolism, disposition, and pharmacokinetics of delta-9-tetrahydrocannabinol (THC) in men and women; single dose kinetics of cannabidiol in man; and distribution and disposition of THC in different tissues of the rat. Section IV on reproductive aspects include studies on the effects of chronic administration of THC on the early embryonic development of mice; effects of cannabinoids on spermatogenesis in mice; and possible mechanism for the cellular effects of marijuana on male reproductive function. Section V on neuropharmacologic aspects includes studies on the discriminative stimulus properties of THC and the effects of cannabinoids on neurotransmitter receptors in the brain. Section VI on therapeutic aspects includes studies such as the possible anxiolytic effects of cannabidiol; tetrahydrocannabinol effects on extrapyramidal motor behaviors in Parkinson's disease; and the use of cannabinoids in glaucoma.